All of our church pews are 100% American made, right here in our home base of Twin Oaks, Oklahoma. We’re proud that our hand-crafted American church pews are in churches across the country and that churches seek us out because we’re a source they can trust. When you’re looking at church pews, consider buying American made church pews. Not only are you supporting American businesses, you’re also being a good Christian. But how does buying church pews made in the USA make you a better Christian? American businesses are safer for workers. Health and labor standards make the lives of American church pew artisans healthier and safer without exposure to toxic chemicals or dangerous work conditions. When you buy overseas, you may be supporting unChristian work conditions that take advantage of workers and put their lives in danger. American made church pews are made with cleaner practices that don’t pollute as much as in some other countries. No one deserves to drink water or breathe air that’s been polluted to the point of unhealthiness. By buying in countries where pollution is allowed, you’re supporting practices that harm other people, even well after your church pews are finished. Foreign product safety standards are low and you might be putting the health of your own church at risk with church pews made elsewhere. The fuel used to transport church furniture from manufacturing plants on the other side of the world creates a much larger carbon footprint than the fuel used to bring American-made goods to your church. This is another example of poor stewardship of the earth. Buying church pews from other countries can help support areas of the world where Christianity is not welcome and Christians are punished for their faith. Instead of buying church pews from a company that sources them from another country or that manufactures them elsewhere, buy American-made church pews. Our church pews have quality you can trust and everyone who works for us is part of our church pew family. When you buy Born Again Pews church furniture, you’re supporting the spread of the Word and supporting Christian business. 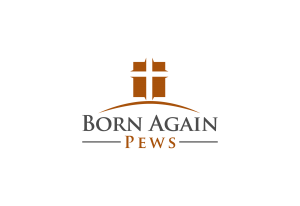 Contact us today to find out how you can make the best choice with Born Again Pews.